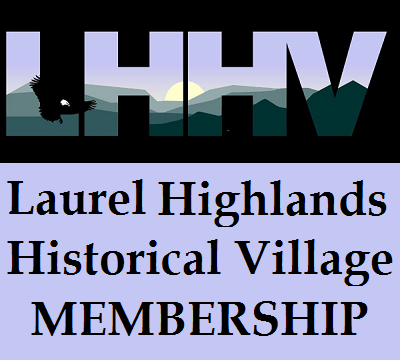 Who is Laurel highlands Historical Village NP Inc.
Laurel Highlands Historical Village was founded in 2003 as nonprofit organization to promote appreciation and understanding of the rich cultural and ethnic diversity of the South Western Pennsylvania Highlands. The Laurel Highlands is home to diverse array of people who emigrated from their homelands to join the Native Americans who lived here for generations. The immigrants worked as farmers, merchants, coal and iron miners, steelworkers, railroaders, teachers, pastors, and in every profession that is part of American society. As our nation forged itself into a nation of liberty, and our economy grew to offer opportunities, the Laurel Highlands became a magnet for freed slaves and immigrants from every, continent. As a result, we enjoy a rich array of cultural diversity that rivals any place in the world. Our region is truly an example of the “American Melting Pot” where diverse cultures work hard together to build a better life. The mission and goal of the LHHV is to provide programs and opportunities to understand our history, to appreciate the accomplishments of our ancestors, and to understand how differences in our cultural heritage contribute to, and strengthen American society. In short, LHHV exists to illuminate the real value of cultural diversity when it exists in an atmosphere of understanding, cooperation, and working together. LHHV pays special attention to the need for future generations to learn the customs, traditions and practices of their ancestors. We lead field trips on trails through our hills, take kids fishing, and we show them the mills and factories where their grandparents worked so hard. In addition, LHHV operates our “Penns woods Project” which provides refurbished computers, recycled from businesses, to students who cannot afford these tech-tools that are necessary for their education. Join us as we continue to grow! Your interests, talents and knowledge are very valuable to us. If you would like to be part of LHHV, please contact us via E Mail, US Mail or Phone. in-kind contributions gratefully accepted. We also provide after school educational programs for children in cooperation with Johnstown Youth Fitness and Education Program, were covering such programs as Photography, Robotics, Film Production, Advanced Math, Weather, Computers, and Internet Design. Honan Ave Biking and Hiking trail. Explore the History in this hollow, as it stretches from Minersville off of the River Walk trail up to Hinckston Reservoir. The trail passes the remains of the Rosedale Coke Plant, a huge active Beaver Dam, near the end a huge waterfall, and at end the laurel Highlands veterans Memorial. Ongoing effort to build a reflection park for all veterans and families to enjoy. We continue to support our veterans as we have food drives, for those in need. If you would like to support our efforts in gathering food please contact our office. Consider your church, scout group, or business conducting a food drive. We remember our veterans as we host a memorial event at Rocky’s Tavern, June 15th 2019. Cambria County Arts & Heritage Festival, an event which is a show case our past our present and our future. Call today, in need of crafting and food vendors, dance, theater, reenactors, Non Profit groups, and much more.